Data are the allies of HR. Simplify the follow-up of your employees, and gain time in handling administrative issues. To focus on people's evolution. Create customisable contact cards and keep information up to date. 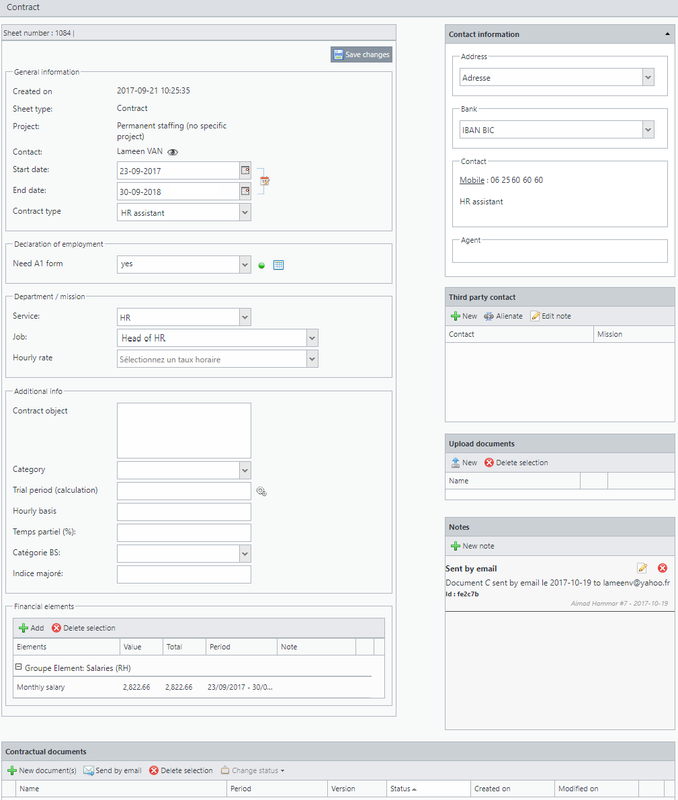 Upload administrative documents and monitor validity and expiry dates. 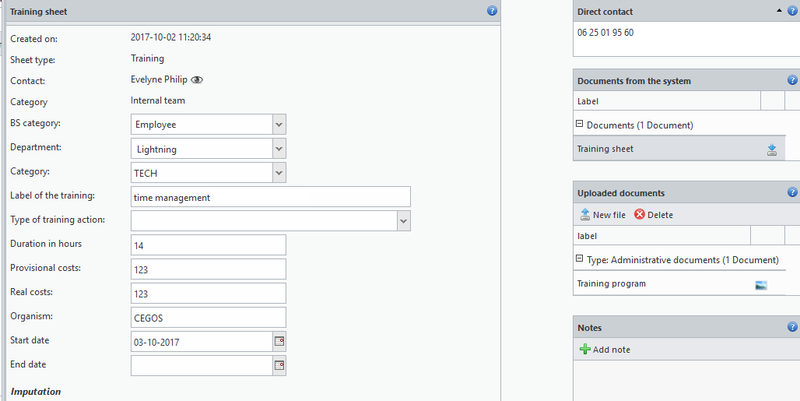 Set up alerts for deadlines, for instance for medical examinations. Manage contracts and track people’s contractual history with your organisation. Detail compensation elements & link them with budget forecasts. 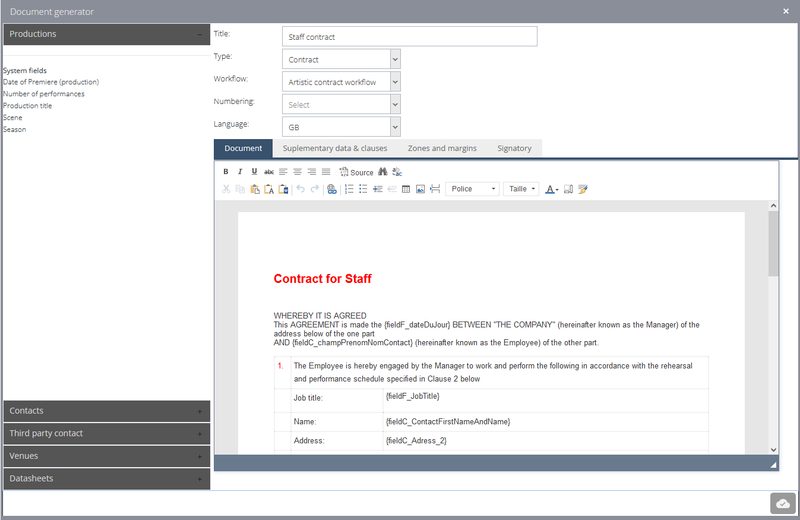 Edit contractual documents within #DIESE, from your dynamic templates library. Archive them. Define validation workflows. Send contracts from within the software and have them signed electronically. 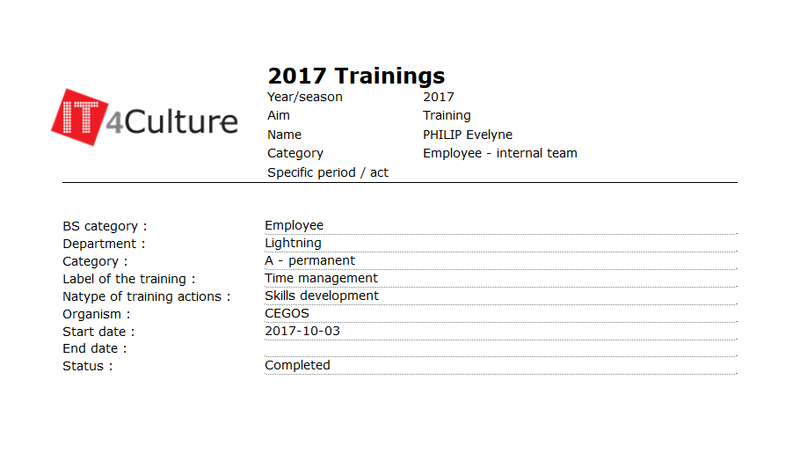 Keep track of employees’ personal evolution: milestone interviews, trainings, salary development, and more.